I’m a strong believer in setting realistic goals for yourself. We can’t all have the same goals. Once you reach a goal you can’t help but get motivated to continue making more goals. And eventually you’ll reach higher than you ever thought you could. But it all starts with that first easy goal. That’s why this juice challenge (not juice fast) has to be set by you. I don’t think we should all be in the same level because we are all different but we SHOULD all be healthy. I hope you will all step up to the challenge and maintain just one month of replacing a meal for a hearty juice. Here’s how it works. I will make suggestions that you can play with, rules that can’t be broken, and ideas to make it easier for you. 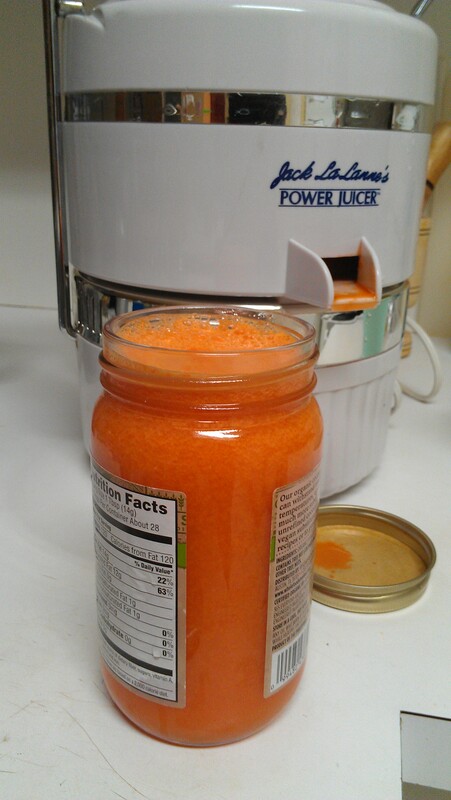 I’ve blended carrots in my high speed blender(Vitamix) and I don’t like the texture and the work to strain the juice out. But it is possible it just takes a bit more work. I also own a high speed juicer (Jack laLanne), which makes it easier to get all my juice out. If you have a slow juicer, you rock. Those maintain the most amount of nutrients in the juice. You should know that natural fresh juice doesn’t stay fresh long (that’s why the store-bought kind has tons of preservatives.) So only make juice for that day. It’ll probably last long enough for you to have at breakfast and lunch but that’s it. Oxygen ruins the juice too quickly. If you have to store the juice to drink later make sure to store it in a glass jar since it doesn’t let oxygen in as easily as plastic. Juice will last longer there. What will you put in it? You have to think ahead because you can’t find these items in the pantry. You’ll have to buy the fruit and veggies at the start of every week for 4 weeks. You can find farmer’s markets or flea markets that sell the “cosmetically disabled” aka “ugly” fruit much cheaper so you can buy more of it. Most of them are fine to eat but because they’re bruise it’s harder to sell in supermarkets. Who will join you in your challenge? When you do this with friends it is much easier because you can hold each other accountable. Do it on the same days so you can help each other out. Say if you work together, maybe one day you can make the juice on Monday and bring it in for your friend for breakfast. Then on the next day she can do the same for you. Being responsible for someone else really puts the pressure on you to stay on track. 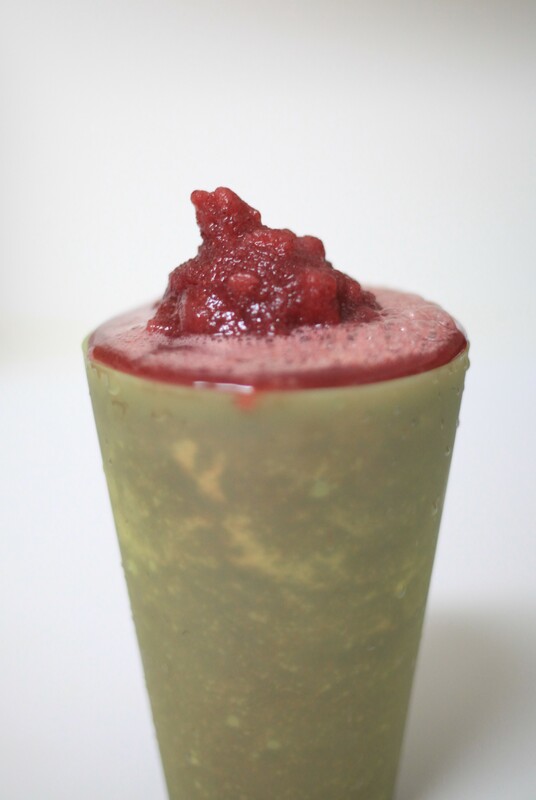 Remember to share your delicious juices with us on facebook. We’ll be waiting for great pictures and recipes. Remember this is only 4 weeks, 1 meal a day. And if you choose to do it for 3 days a week that’s only 12 times in a month. You can do this. Lastly, why not take a picture of yourself before the challenge. And that way you can compare your body when you’re done. This is a very small challenge and you shouldn’t see drastic change but you will see something. That’s of course if you eat modestly the rest of the day. So don’t eat a whole pizza for lunch. If you can do a juice a day for 5 days go for it. Let us know on facebook what you’ve decided.